If you want to see an overview of all your notes and highlights, click the "Note" icon, located in the left sidebar of your screen (highlighted). 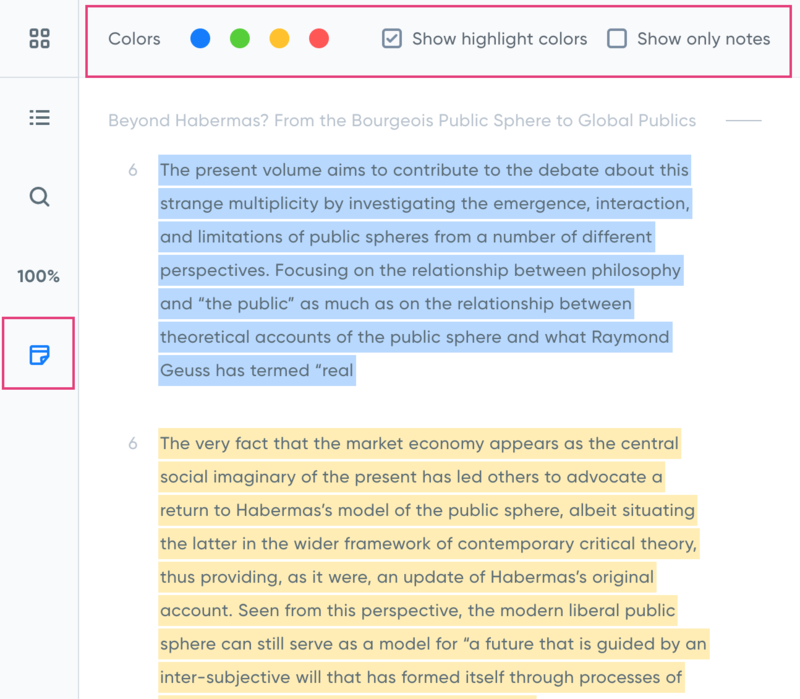 This opens up an overview of all your notes and highlight. You can also search for notes and highlights in the search bar. See more here: Searching in your books.